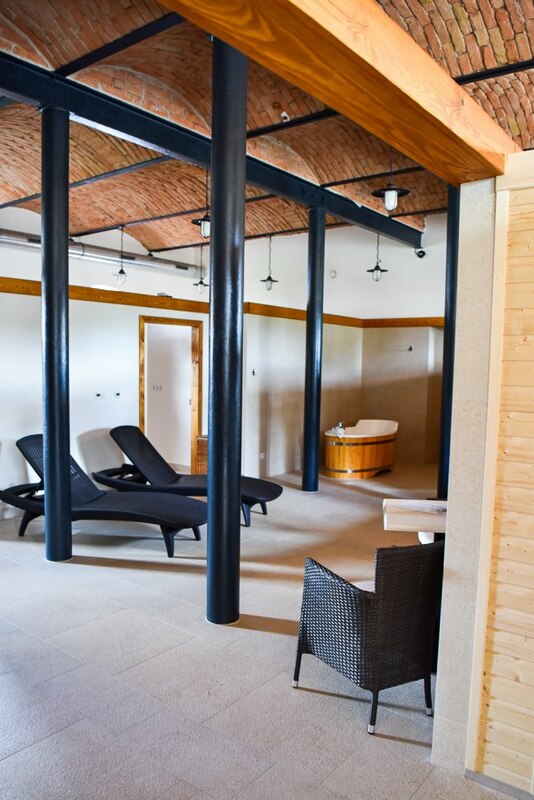 Our wellness centre is found in the old riding hall, within which you’ll find a stylish and cosy space with a groin-vaulted ceiling and welcome sense of privacy. 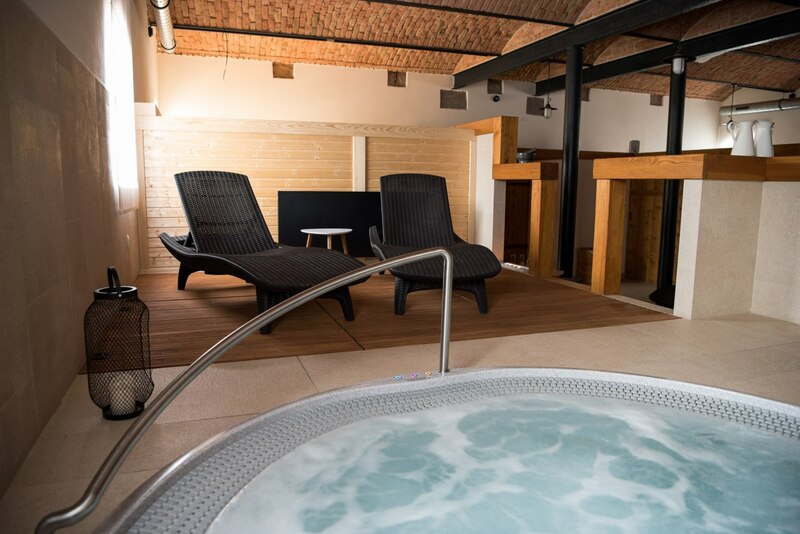 You can enjoy our professional 4-person hot tub on a raised wooden podium, a 1-person infrared sauna, and a Finnish sauna that accommodates 4. 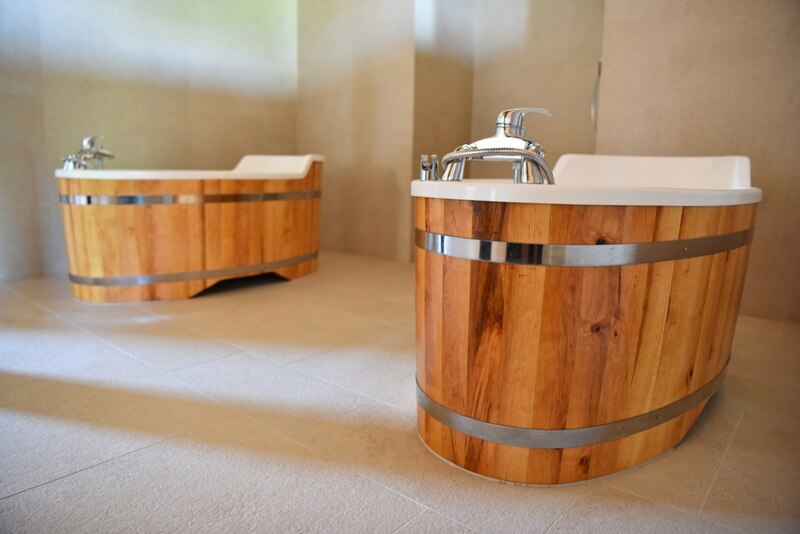 In the spacious wellness zone, you can also order salt and herbal baths in two separately standing baths surrounded by wood. 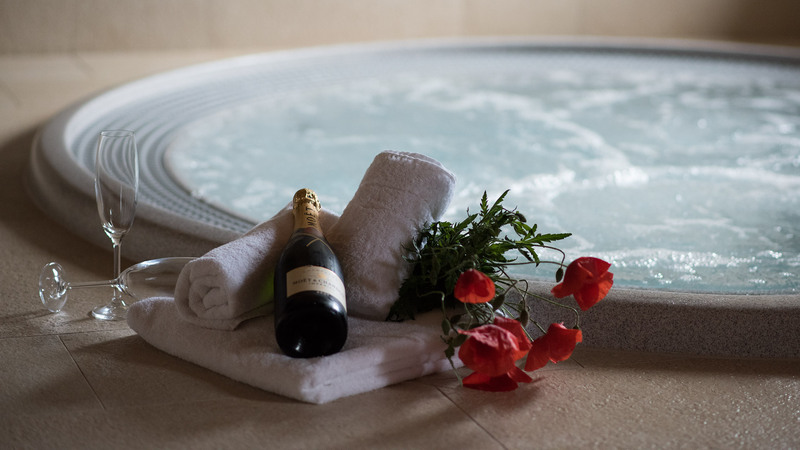 Or you can savour a massage and sample a special spa programme, which we perform with the help of products from the Dead Sea, the French brand THALASPA and the Italian cosmetics company GERARD’S. Reservations are required to use all wellness services and can be made at the main reception. Maximum capacity of the entire wellness zone is 8 people. 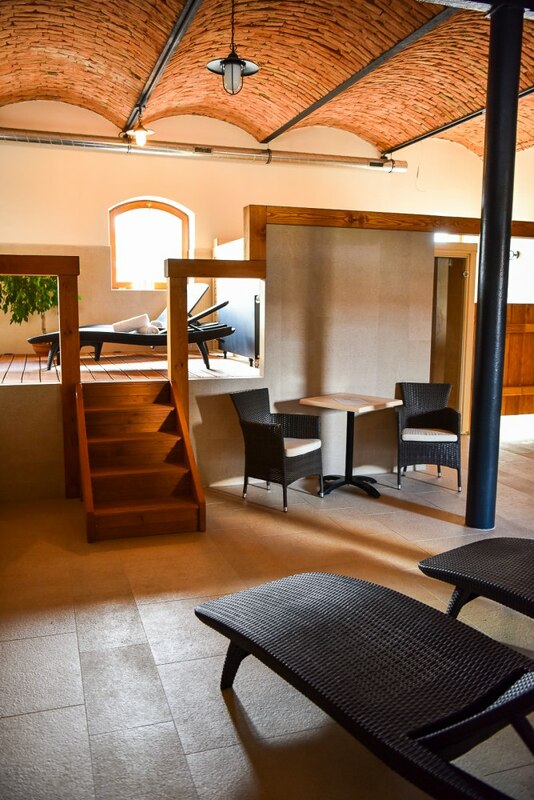 Within the wellness centre you’ll also find 4 rattan loungers on which to lie down, and 2 two easy chairs for sitting down. The hot tub offers complete therapy - both physical and mental – for the human body. Optimally set water in the hot tub washes away stress while reducing and relaxing tension in the muscles. It helps disperse painful sensations from regions of the body affected by injury, strain or other discomfort. The warm, whirling water helps accelerate the healing of minor internal injuries, post-operational conditions and bruising. And it works positive magic not just on one’s physical health, but on our mental health, too. A Finnish sauna regenerates the body through the effects of high temperatures (80°C-100°C) and subsequent cooling. This process leads to the intensive perfusion of muscle and skin tissue with blood. Pores open and there is increased excretion of toxins from the body. A Finnish sauna also has a positive effect on stimulating blood circulation and coronary activity. The infrared sauna is a wooden cabin that looks just like your classic sauna. The basic difference is the heat source. In an infrared sauna it emanates from infrared heater panels, sometimes referred to as heat lamps. A visit to an infrared sauna differs from having a classic sauna in that the body is heated up through radiation, which penetrates the surface tissues of the body. It can reach depths of over 4 cm. everything occurs entirely naturally – muscles relax and are soothed and strain melts away from the body. The infrared sauna has its energy levels set so that it corresponds as much as possible to the energy given off by the human body. 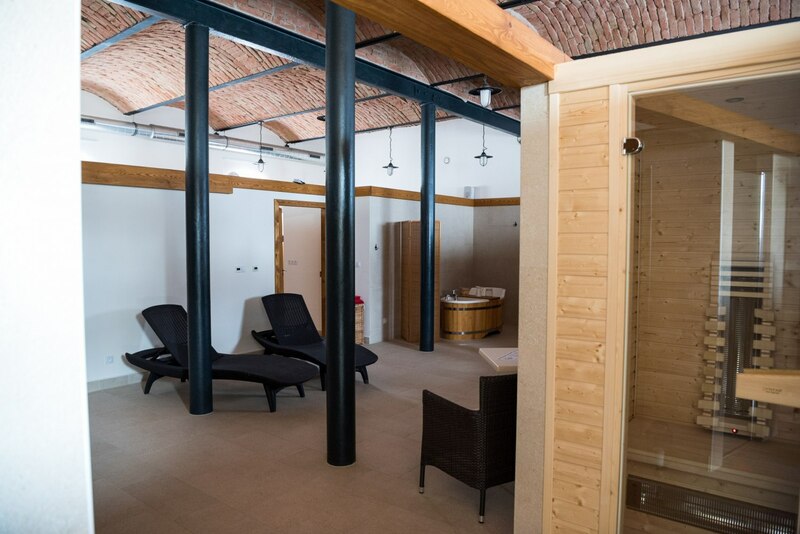 The infrared sauna tends to operate at a temperature between 45°C-60°C and the time one remains inside is longer than in a classic sauna with hot stones. Recommended time inside is approximately 25-45 min. The infrared sauna does not have any additional health benefits over the classic sauna. The common therapeutic factor to both types is the sauna heat, which varies only in terms of source and the intensity with which it penetrates the body’s tissues. All other services and procedures carry an additional fee. We offer you a sports massage of the back, feet and whole body. We use a variety of fragrant, purely natural oils. You can also treat yourself to a honey detox massage, which removes unwanted toxins that can accumulate within the body, while at the same time beautifully smoothing your skin. A honey massage is performed on the back using warm honey. It superbly heats and relaxes the muscles along the spine. For tired feet we recommend a relaxing foot massage, finished with exfoliation. A full-body mud wrap, in which we use natural black mud from the Dead Sea, has a favourable effect on problem skin, e.g. showing symptoms of psoriasis, eczema and acne. It can also be used on areas affected by injury, fractures and for rheumatic problems. It is similarly suitable as a face mask or for regenerating your hair. After applying mud to your whole body, we proceed to wrap you in film and for a minimum of 20 minutes you relax on the lounger, after which you thoroughly shower. The next wrap we offer is the full-body detox wrap, for which we use a mixture made from 100% natural yogurt, ginger, turmeric, chilli peppers and cardamoms. The yogurt is enriched with important components such as calcium, vitamins, lipids and proteins. The body’s skin is nourished, deeply moisturized, refreshed, its elasticity is increased, the correct physiological skin pH is restored, and its irritations are soothed. Once the mixture has been applied we proceed to wrap you in film, and for a minimum of 20 minutes you relax on the lounger, after which you thoroughly shower. We also offer a firming wrap, which we apply to the stomach, thighs and buttocks. We prepare the mixture directly from 100% natural yogurt, a coffee mixture and soy jelly. Caffeine contained in the coffee beans acts to reduce the size of fat cells and has a positive effect on slimming, cellulite and augments the firming effect. The soy jelly is a liquid mixture with a honey-like consistency that stimulates the synthesis of collagen, skin fibres and elastin. It is able to regenerate tissues that have lost their elasticity. Once the mixture has been applied, we proceed to wrap you in film and for a minimum of 20 minutes you relax on the lounger, after which you thoroughly shower. The final wrap we offer is the paraffin wrap. Paraffin is a special wax enriched with vitamin E, which is used for medical and cosmetic purposes, and excels in its ability to retain heat. In its normal state paraffin takes the form of a stiff wax, which prior to application on skin must be heated until it is a liquid. The temperature of the heated substance is about 55°C. Paraffin warms the body, relaxes tissues, increases blood circulation and opens pores. In cosmetics, it is most often used as a hand wrap because it hydrates skin and increases its elasticity. At the same time, it has positive effects on joints and is used to treat the musculoskeletal system. Full-body hydration exfoliation with sea salt and mint removes body impurities and dead cells and has toning and firming effects. The salts and oils treat the skin in a careful way that feels pleasant, leaving it beautifully soft and supple. We apply the exfoliator over the whole body and then with a gentle massage remove the excess dead skin and toxins, whilst perfusing blood through the skin. A shower completes the treatment. Bathing is done in free-standing baths surrounded by wood. Aroma-therapeutic salt baths using Dead Sea salt with frankincense oil. Salt from the Dead Sea relaxes tense muscles and heals your skin. Frankincense oil, with its beautiful aroma is antiseptic, tightens up the skin, helps with bronchitis, coughs and common colds, and releases us from the grip of racing thoughts. 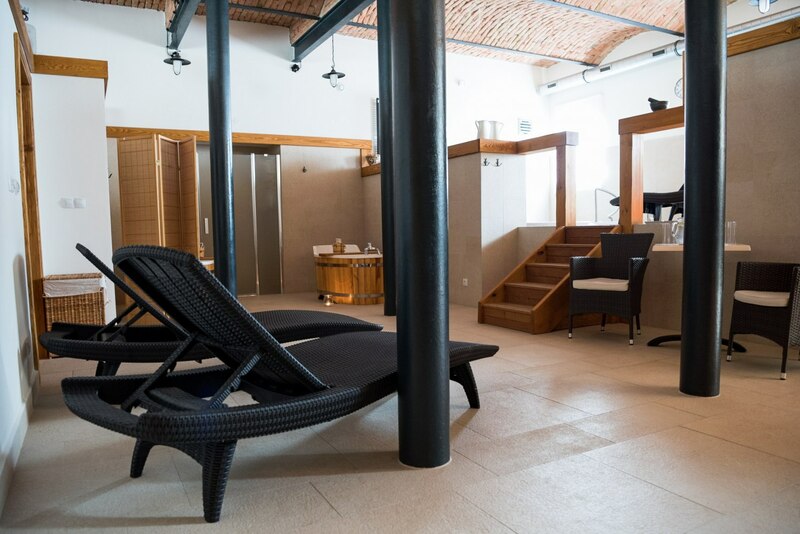 A beer bath uses our own Lanýž beer and beer foam, which softens and regenerates the skin. It has relaxing and calming effects, and contains glycerine and vitamin B. A beer bath almost miraculously loosens your tired muscles and dispels any feeling of tension. The price of the bath includes one small Lanýž beer for you to drink. Herbal baths from the Czech brand HERBASPA help induce general relaxation when tired, after physical exercise or after playing sport. They help dissipate any muscular tension and have a favourable regenerative and relaxing effect on the body’s musculoskeletal system. 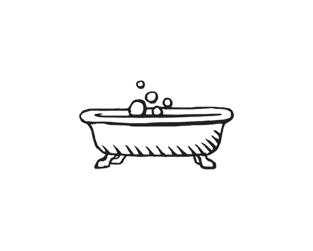 The original recipes were developed over 30 years ago, and baths contain at least 85% extract from 6 curative herbs, as well as Dead Sea salt.